We’ll leave Marrakech at 8 a.m. and cross the Atlas Mountains. The winding roads, changing scenery, colourful valleys, shepherds with their flocks, Berber villages high up on the hillsides, make this a picturesque drive. And when we get to Tizi’n Tichka Pass, we’ll be at the highest point in the Atlas Mountains. Of course, we stop for photos and to breathe in some fresh mountain air. in this day trip from marrakech to ouarzazat We’ll head first to the 11th century kasbah of Ait BenHaddou, now a recognized UNESCO World Heritage Site. The architecture and the history are sure to impress you. Not to mention the views of the surrounding: the flowing river, the palm trees.Heading further to the quiet town of Ouarzazate we’ll have a traditional lunch before visiting the Taourirt Kasbah. 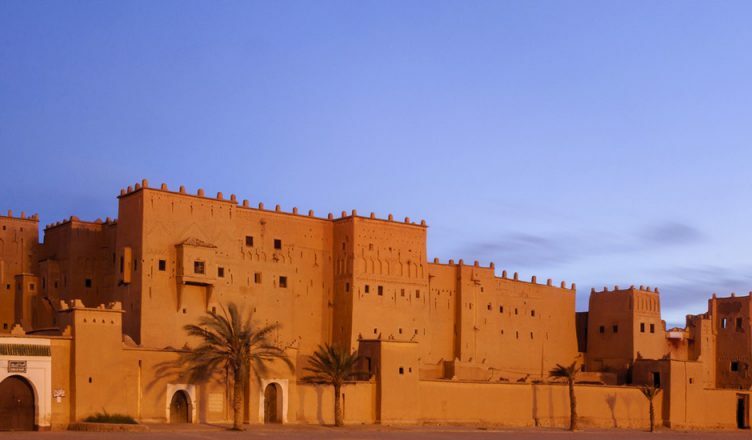 This building provided the backdrop for the Hollywood hit Star Wars and it has been restored with financial assistance from UNESCO.Approximate arrival time in Marrakech is 5 p.m.